is a court order which in the context of a court trial or hearing, declares a person or organization to have disobeyed or been disrespectful of the court's authority. Often referred to simply as `contempt,’ such as a person `held in contempt,’ it is the judge's strongest power to impose sanctions for acts which disrupt the court's normal process. Prince attended a friend's sentencing in federal district court [the U.S. District Court for the Northern District of Ohio]. Despite passing three signs warning about electronic device use in courtrooms, Prince entered a district courtroom with his phone activated. Deputy U.S. Marshal Kasulones saw the phone and instructed Prince to turn it off. Despite this warning, Kasulones later observed Prince texting during the hearing. Deputy Kasulones took Prince's phone and told him to retrieve it from the Marshal's office. There, Deputy Kasulones told Prince of the Marshal's concern that the proceedings will be photographed or recorded. Prince volunteered that he photographed his friend during the sentencing hearing. Deputy Kasulones found the picture on Prince's phone, emailed it to himself, printed it, and deleted it. the photo being taken, the district court issued an order requiring Prince to show cause why it should not hold him in criminal contempt. After hearing testimony, the court determined that Deputy Kasulones instructed Prince to turn the phone off. The court then found Prince guilty of criminal contempt, in violation of 18 U.S. Code § 401, stating that `the most troubling part’ was that Prince continued using his phone despite Kasulones's instruction to stop. At [his] sentencing, the district court considered the nature and circumstances of the offense and Prince's personal history and characteristics and determined that Prince violated a posted court rule. 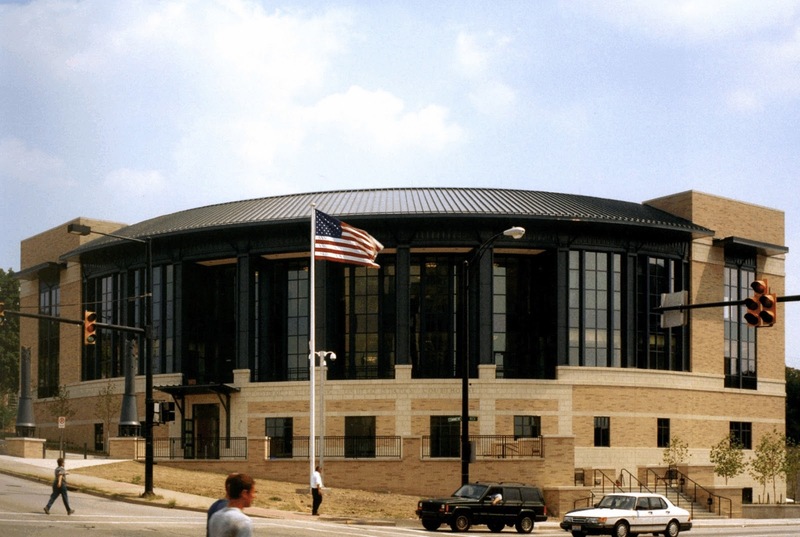 Although the court acknowledged that a visitor could overlook the posted signs, it found Prince disregarded Kasulones's instruction to turn off his phone, noting that Prince had pending state-court violations: two for failure to appear and another felony sentence for unlawfully possessing a Ruger pistol loaded with fourteen rounds of ammunition and eight bags of marijuana. After recognizing the inapplicability of the sentencing guidelines to contempt proceedings, the parties agreed that a sentence between zero and six months would be an appropriate range. The court sentenced Prince to thirty days. On appeal, Prince argued that the evidence was “insufficient to support his criminal contempt conviction because he did not intentionally or deliberately defy a specific court order.” U.S. v. Prince, supra. The Court of Appeals began its analysis of this argument by noting that it would review Prince’s conviction “to determine `whether, after viewing the evidence in the light most favorable to the prosecution, any rational trier of fact could have found the essential elements of the crime beyond a reasonable doubt.’” U.S. v. Prince, supra (quoting Jackson v. Virginia, 443 U.S. 307 (1979)) (emphasis in the original). [Section 401(3) of Title 18 of the U.S. Code] grants federal courts the `power to punish by fine or imprisonment, or both, at its discretion, such contempt of its authority, including . . . (3) disobedience or resistance to its lawful writ, process, order, rule, decree, or command.’ We therefore review if any rational trier of fact could have found that Prince `acted with a willfulness that implies a deliberate or intended violation,’ Downey v. Clauder, 30 F.3d 681 (U.S. Court of Appeals for the 6th Circuit 1994) (quoting In re Chandler, 906 F.2d 248 (U.S. Court of Appeals for the 6th Circuit 1990)), of a `specific, clear, and unequivocal court order.’ Downey v. Clauder, supra. The Court of Appeals then found that “[a]mple evidence supports the district court's contempt finding.” U.S. v. Prince, supra. Deputy Kasulones testified that he `instructed [Prince] to make sure [his cell phone] was shut off, and [Prince] acknowledged that, yes, it will be shut off.’ . . . The court credited Kasulones's testimony and we may not `weigh the evidence presented [or] consider the credibility of witnesses.’ U.S. v. Graham, 622 F.3d 445 (U.S. Court of Appeals for the 6th Circuit 2010). Furthermore, Prince acknowledged the interaction with Deputy Kasulones and that he `knew [the phone] wasn't to be disruptive to the courtroom,’ although he disputed whether the order was to turn off the phone or just to silence it. . . .
specificity of Kasulones's instruction, arguing that substantial uncertainty surrounded it. To be guilty of contempt, the violated direction or order must first be clear and specific. Downey v. Clauder, supra. Prince bears a `very heavy burden,’ U.S. v. Abboud, 438 F.3d 554 (U.S. Court of Appeals for the 6th Circuit 2006), because we resolve all credibility issues in favor of the verdict, . . . and the district judge credited Kasulones's command as clear and specific, and we do not weigh the evidence or consider witness credibility. lacked the required intent to defy the command. See Downey v. Clauder, supra (requiring willfulness that implies a deliberate or intended violation). The district court found Prince willfully ignored the command. Our review confirms that although Prince may have missed the signs, Deputy Kasulones's later order put Prince on notice of the cell phone prohibition. Nevertheless, he admitted to texting and photographing after acknowledging Kasulones's order, demonstrating willful disobedience. That suffices to sustain his § 401(3) conviction, and a rational trier of fact could find the elements of the crime beyond a reasonable doubt. Finally, Prince claimed “his thirty-day sentence is substantively unreasonable for this contempt.” U.S. v. Prince, supra. The Court of Appeals explained that, with regard to this issue, “[w]e review a non-guideline sentence for abuse of discretion, . . . reversing only if we are `”firmly convinced” that the district court committed clear error.’” U.S. v. Prince, supra (quoting U.S. v. Martin, 251 Fed. App’x 979 (U.S. Court of Appeals for the 6th Circuit 2007)). [b]ecause violating 18 U.S. Code § 401(3) is a misdemeanor, the parties agreed that the court could impose a zero to six month sentence. Given that Prince's counsel acknowledged that a sentence of as long as six months would fall within the appropriate sentencing range, we are not firmly convinced that Prince's one-month sentence is substantively unreasonable. from the defendants in the cases he cites. Two of the cases involve taking prohibited photos outside of the courtroom. 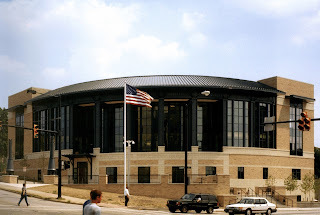 See Mazzetti v. U.S., 518 F.2d 781 (U.S.Court of Appeals for the 10th Circuit 1975) (photographing from the parking lot outside of the courthouse); U.S. v. Seymour, 373 F.2d 629 (U.S. Court of Appeals for the 5th Circuit 1967) (photographing in the hall outside of the courtroom). And one case from Prince's brief concerned civil contempt for failure to appear, rather than criminal contempt. See In re Jacques, 761 F.2d 302 (U.S. Court of Appeals for the 6th Circuit 1985). U.S. v. Prince, supra. The court therefore affirmed Prince’s conviction and sentence. U.S. v. Prince, supra.